We offer dinner mains and table service during dinner from 5:00pm to 10:00pm. As dinner closes, we continue to offer small plates and drinks via bar service. On the weekends, we move the dividing curtain just after dinner for everyone to enjoy the show. Brunch is available from 10:00am to 2:30pm on Saturday and Sunday. This section offers food until midnight and drink via bar service only. 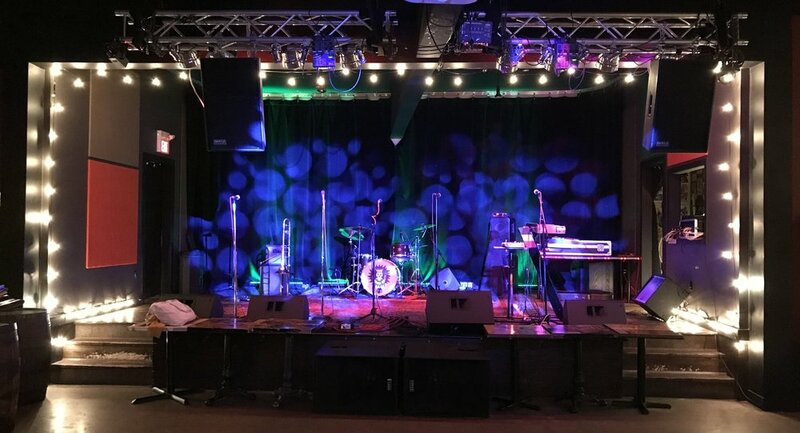 The back room plays host to our stage, second bar and various events. Guests are welcome to run a tab by leaving a credit card with the bartender.